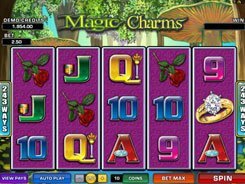 Queen of Hearts is a 5-reel 30-payline slot that was the first game in the Rhyming Reels lineup from Microgaming. The symbols are themed around a nursery rhyme about the Queen of Hearts reinterpreted by the software developer in the modern context. On the reels you will see oven mitts, tarts baked by the Queen, the Knave who stole the tarts; the Queen herself, a waitress and a golden crown. 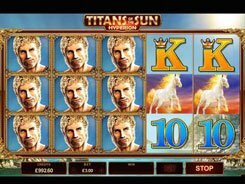 A bet per spin is adjusted from $0.01 to $15, so the slot would be a perfect option for players on a budget. 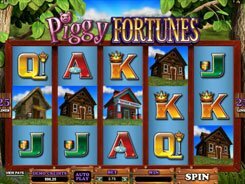 The slot features a wild, a scatter, free spins and a top jackpot of $3000 paid out for hitting five scatters on the reels. 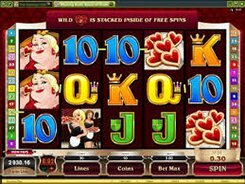 A wild symbol (the Queen of Hearts logo) acts as a substitute doubling payouts in a normal game and quadrupling payouts during free spins when replacing for other symbols. 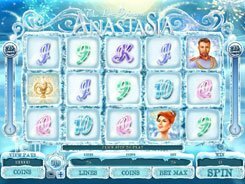 In a free spins feature a wild comes stacked occupying two or three symbol positions on a reel. 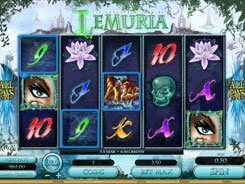 Three or more scatters unlock ten free games will all wins doubled. 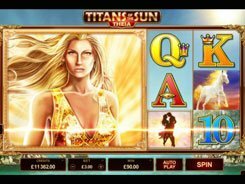 Furthermore, during free spins you can potentially win up to 2,400,000 coins. PLAY FOR REAL MONEY!